Oconomowoc -- Roberta Jean (Kimball) Brown of Briggsville died peacefully on Wednesday, December 6, 2017, at Shorehaven Lutheran Home, Oconomowoc, WI. She was born September 11, 1922 in Briggsville, WI, to the late Bernard Harold Kimball and Mildred Gertrude (Heberlein) Kimball. 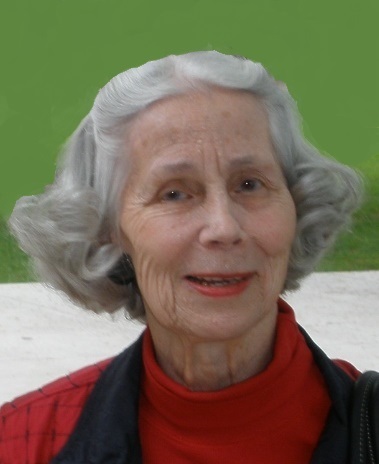 Roberta met her husband in Washington D.C. during World War II while she was working at the South African Legation. At the time, Robert was a Warrant Officer in the South African Air Force. They lived and raised their family in southern Africa for 40 years before retiring in Roberta’s home town of Briggsville, WI, in 1982 in her grandparents’ home. She loved her family and the history of her family as well as traveling, decorating, and entertaining, and was always the most gracious and generous hostess. Her joy of life will be missed by all who knew her. Roberta is survived by her three children: son Michael Lee Brown (wife Deborah) of Stafford, VA, daughter Donna Jean (Brown) Granger (husband William) of Waukesha, WI, and son Craig Canavan Brown (fiancée Patricia Kiefer) of Okauchee, WI; six grandchildren: Patrick, Colin, Stephanie (Brown) Coates, Scott, Jeffrey, Lisa (Brown) Ellmaurer; six great-grandchildren: Kathryn, Kellen, Beckham, Corynne, Elise, and Alex Brown. Roberta was predeceased by Robert in 2008, her husband of 65 years, and also by her brother Frank Kimball and two sisters Margie (Kimball) Haufe and Winnefrid (Kimball) Rogers. 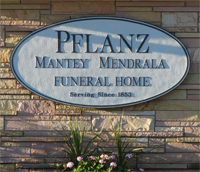 Memorial services will be held at 2:00 p.m. on Saturday, May 26, 2018, at Pflanz Mantey Mendrala Funeral Home in Portage with Rev. Susan Oeffler officiating. Inurnment will be private at Briggsville Protestant Cemetery. Visitation will be held at the funeral home from 1:00 p.m. until the time of service. Memorial contributions may be given to the charity of your choice. In lieu of flowers, the family requests that memorials be made in her name to the Briggsville United Methodist Church, P.O. Box 36, Briggsville, WI 53920.